Columbia University Press, 9780231184045, 152pp. In this passionate and powerful book--part manifesto, part plan of action--the renowned economist Jeffrey D. Sachs offers a practical strategy to move America, seemingly more divided than ever, toward a new consensus: sustainable development. Sustainable development is a holistic approach that emphasizes economic, social, and environmental objectives in shaping policy. In focusing too much on economic growth, the United States has neglected rising economic inequality and dire environmental threats. Now, even growth is imperiled. Sachs explores issues that have captivated the nation and political debate, including infrastructure, trade deals, energy policy, the proper size and role of government, the national debt, and income inequality. Not only does he provide illuminating and accessible explanations of the forces at work in each case, but he also presents specific policy solutions. His argument rises above the pessimism born of political paralysis, economic stagnation, and partisanship to devise a brighter way forward, achievable both individually and collectively. 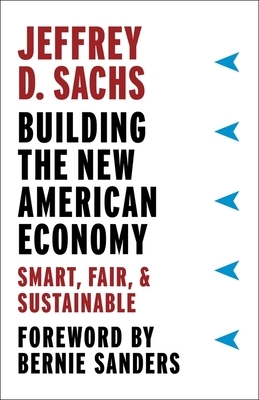 In Building the New American Economy, Sachs shows how the United States can find a path to renewed economic progress that is fair and environmentally sustainable. Jeffrey D. Sachs is University Professor at Columbia University and serves as Quetelet Professor of Sustainable Development and professor of health policy and management at Columbia University. He is a New York Times best-selling author, and his books include The End of Poverty (2005), Common Wealth: Economics for a Crowded Planet (2008), The Price of Civilization (2011), To Move the World: JFK's Quest for Peace (2013), and The Age of Sustainable Development (Columbia University Press, 2015).